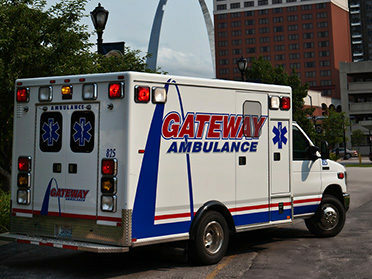 In August 2015, University City’s City Council approved a contract to have Gateway Ambulance, a private company, provide our emergency medical services. Previously, ambulance service was provided by our Fire Department. The conclusions you will read in this analysis are based on (1) data analysis conducted by a team of Stanford-trained data scientists, and even more importantly by (2) conversations about Gateway ambulance with as broad a range of individuals as possible, including the City Manager, Paulette Carr (a councilmember who opposed privatization), Greg Pace (a citizen consultant who supported it), the Gateway director and ambulance drivers, and our own Fire Chief. In the back-and-forth on City Council, our representatives completely lost sight of the issue. We had real opportunities to make progress, improve public services, and have a conversation that would reflect our community’s values. 1.) We needed to change our ambulance system to improve response times. Simple changes could improve public safety. Previously, our firefighters waited for ambulance calls in the fire station. They worked exhausting 48 hour shifts. It took about 90 seconds on average just leave the station, get to the ambulance, and start driving. We needed to change the system. Our ambulances should be located closest to where people need them, not wherever we happened to have land for a fire station. Our ambulance drivers should wait for calls inside the ambulance. That way when a resident calls they can start driving immediately. Before, drivers had to wait inside the fire station. 2.) The contract with Gateway achieved those changes. But because the contract was pushed through without a transparent democratic process, it cannot reflect our community’s values. There were many other ways to improve ambulance response times. Changing our fire department’s policies could achieve the same outcome. Many of the residents I speak with are deeply concerned about having a private company manage a public service, even a company that hires union workers. And research suggests they are right to be concerned. Our city manager entered us into a 5-year contract without establishing clear reporting on performance for our citizens, and without clear mechanisms to let us leave the contract if Gateway fails. 3.) The pendulum politics on City Council hurt our city’s reputation but took us nowhere. This issue was used to further personal agendas, but the facts needed to make sense of it were distorted and left out. Everyone involved was trying to either make themselves look good, or make the “other side” look bad. We needed to be looking for solutions. Our representatives got us lots of bad publicity. But they did not get us the facts. When I talked to our Fire Chief, I was surprised to learn that before the Gateway contract, our least-senior firefighters were assigned to drive the ambulances on exhausting 48-hour shifts. I also learned that no U City firefighters lost their jobs. Three empty positions now no longer need to be filled, but no one was fired. The firefighters’ Union pushed back because this meant 3 fewer jobs for its members throughout the region, but no U. City firefighters lost their jobs.After a minor court dispute the city is on track to save an estimated half million dollars every year. All this information matters to our residents, and it was left out of the conversation. The political infighting damaged our community’s reputation. It ultimately led us nowhere, and did not even bring out the facts we need to make a rational decision about the issue. There were opportunities to make great progress for our community. Bringing the issue back into focus, it is clear that we needed to reform our ambulance service. 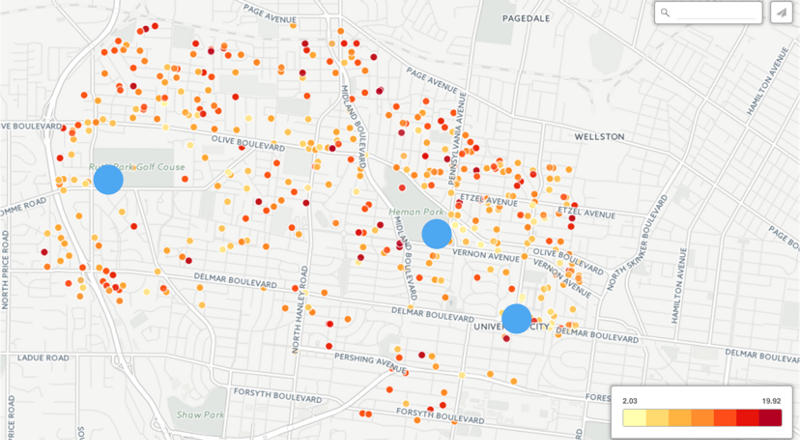 The map above shows the location of ambulance calls in U City. We now have flexibility to place our ambulances wherever they are most effective, and keep improving their location in the future. 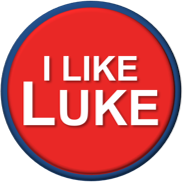 We needed a true democratic process to represent all the values of our community. Trustworthy service, return on taxpayer dollars, and the intrinsic value of keeping service in-house all need to be balanced and brought into the conversation. We need to talk and work together. We have a vibrant, diverse community. That needs to be the focus of our policy-making, not personal political agendas.